For young families, the appeal of crossovers like the 2016 Toyota RAV4 LE is undeniable. Crossovers haul all the trappings of modern family-rearing while providing ample room for four passengers to sit slightly higher than your average sedan. While not the highest-spec version of the RAV4, the LE trim provided a value mix many moms and dads would find agreeable. The tested 2016 Toyota RAV4 LE came in attractive Barcelona Red Metallic paint with an interesting exterior feature I missed until I had already been driving the car several days: The steel wheels had covers than did a great job convincing casual passersby that they were actually alloys. 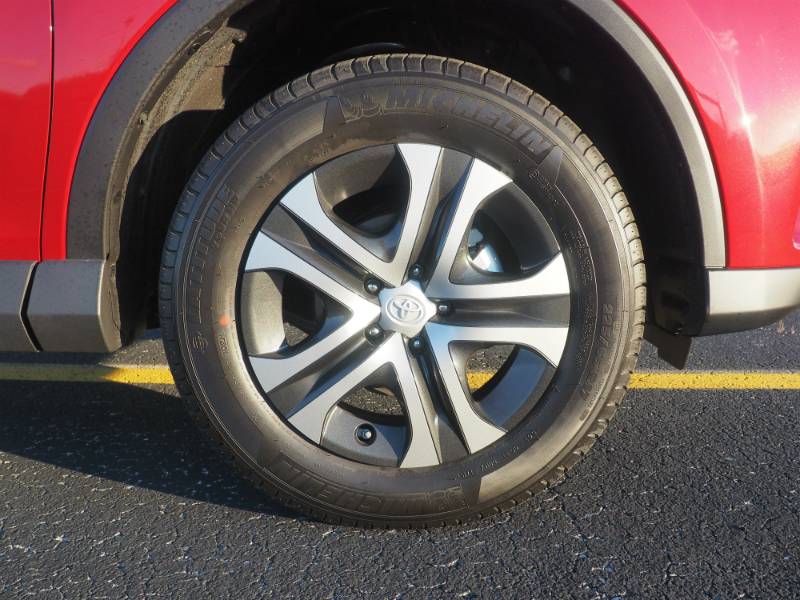 Only upon photographing the RAV4 did I notice the plastic wheel covers carefully designed so that they fit onto the rims perfectly to make it appear, from a few feet away, that these are higher-spec wheels. Neat trick, Toyota. Opening the doors revealed a humble, yet attractive interior spec that proved perfect for schlepping my two boys to the babysitter and making our weekend supply run at the local discount warehouse. 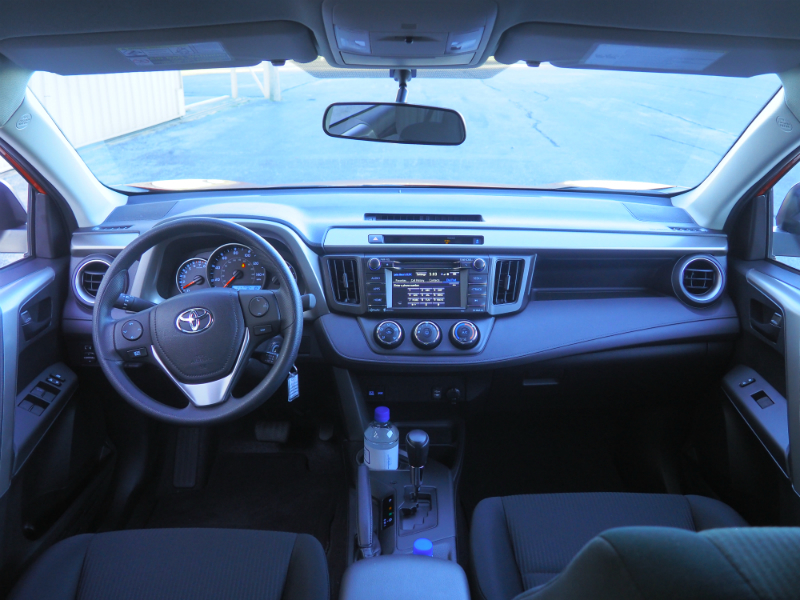 In fact, the faux leather-and-stitching and the design elements on the dashboard space made me think of the Corolla I tested weeks earlier — and that’s a good thing. The cloth-covered front seats sat lower than I expected — a trait I remembered from the last time I drove one of the RAV4’s principal competitors, the Nissan Rogue. The result was decent headroom combined with a slightly more carlike driving position than many crossovers had just a generation or two prior. 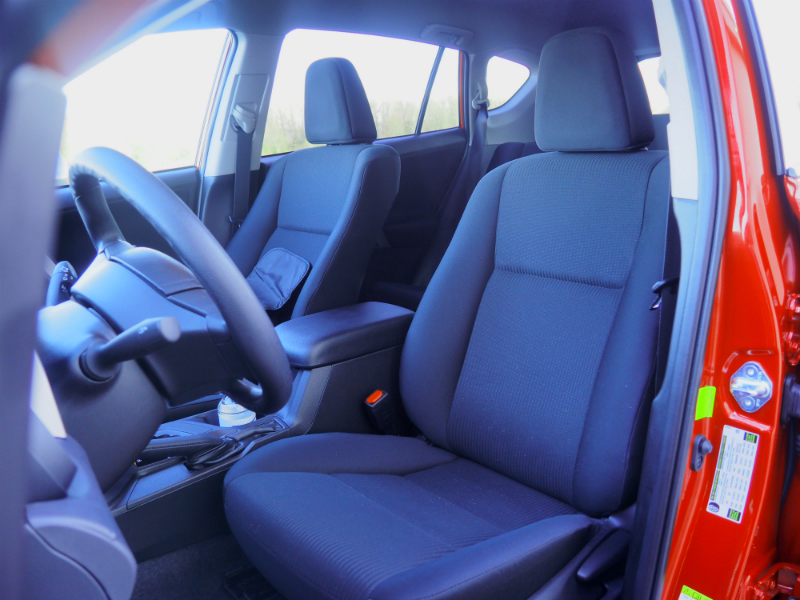 Also much like the Rogue, the rear seat passengers in our 2016 Toyota RAV4 LE sat at a slightly elevated position relative to the front bucket seats. This worked well to give my toddler or any other forward-facing passenger a better view of the road. 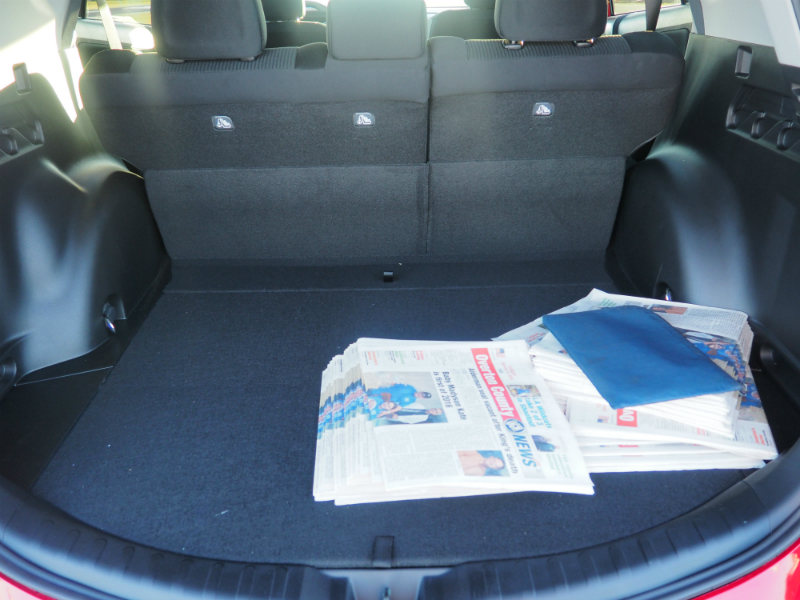 The rear door windows had admirably low sills to aid in making the rear seats an airy, pleasant place. 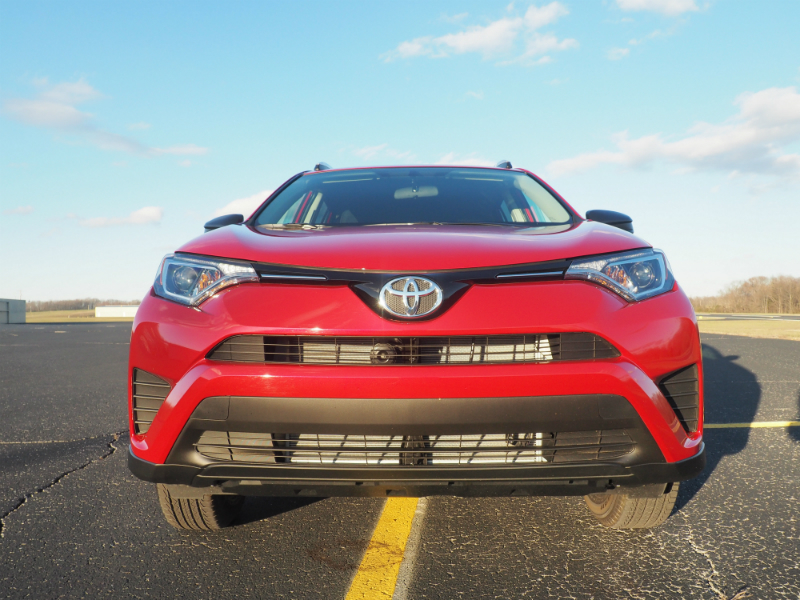 Our tester lacked all-wheel drive, but it is available as an option on the RAV4 in every trim spec — even the new, heavily marketed RAV4 Hybrid can be had with an all-wheel drive system Toyota dubs “AWD-i”, according to the automaker’s “build your own” site. Toyota’s ubiquitous 2.5-liter four-cylinder gasoline engine forms the basis for all RAV4 powertrain configurations — hybrid or gasoline-only, all-wheel drive or not. In the case of our non-hybrid tester, horsepower came in at a Toyota-reported 176 at 6,000 RPM and 172 lb-ft of torque at 4,100 RPM. If you opt for the RAV4 Hybrid, the electric bits add a little kick of extra power for a total system output of 194 horsepower, Toyota says. While a bit thrashy when caned, the engine in our non-hybrid model did an admirable job providing enough power for most highway merges or passing on two-lane country roads while also returning an observed fuel economy in the mid-20s. That’s not bad considering how much I let the engine idle during my test week. A partial hat-tip here goes to the six-speed automatic gearbox that seemed to provide a good ratio spread for city and highway driving. Hybrid models, by the way, get a CVT. 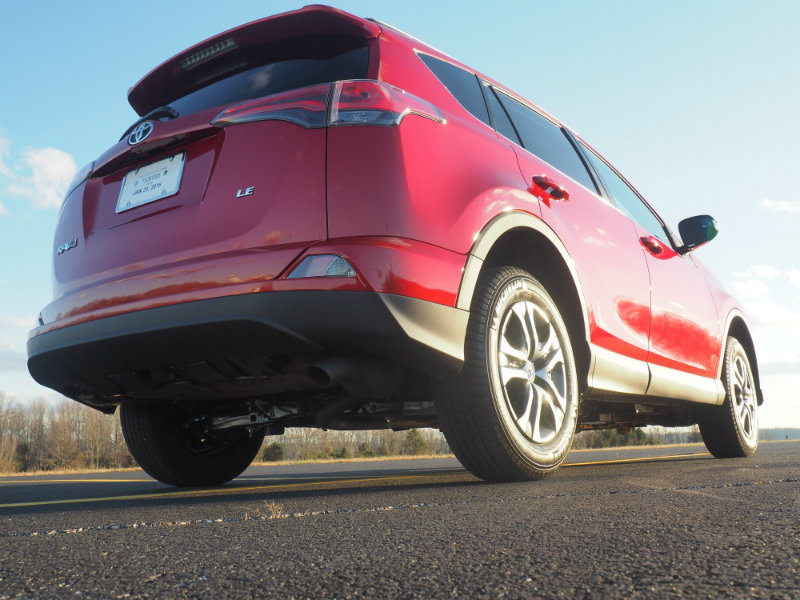 With 38.4 cubic feet of cargo space behind the second row seats — 73.4 with the rear seats folded flat — the 2016 Toyota RAV4 LE is right in the thick of its class. Competitors are all in the same neighborhood. The GMC Terrain I tested recently came in at 31.6 cubic feet behind the second row and 63.9 cubic feet with those seats folded. Meanwhile, the aforementioned Nissan Rogue rang in at 32/70, and the recently tested Subaru Forester came in at 34.4/74.7. 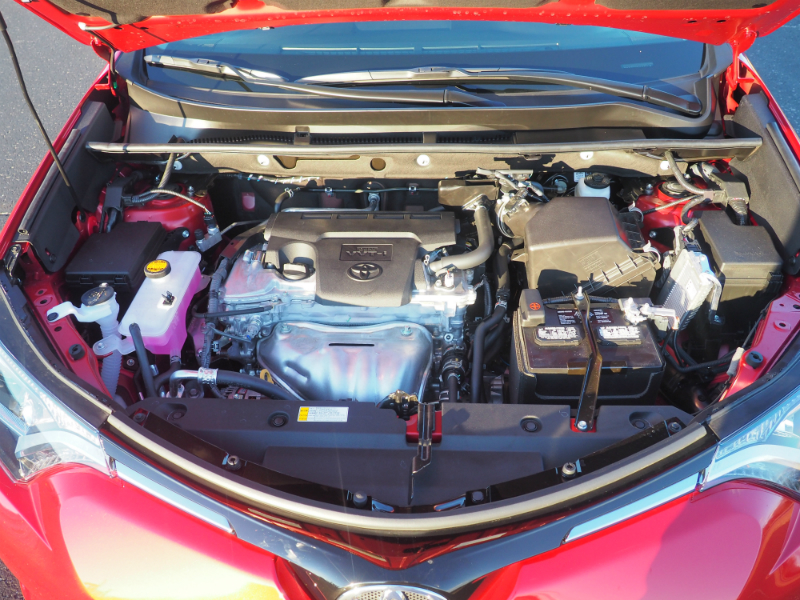 The RAV4’s engine room gives it very similar specs to all those competitors, too. Its horsepower and torque are mid-pack, as is its EPA-estimated fuel economy of 24 MPG city, 31 MPG highway. Its overall interior space measurements follow that same trend. So does its pricing — some mild Toyota Tax, depending on your local dealership’s willingness to bargain, notwithstanding. Bottom line is, for certain shoppers, the Toyota flavor of midsize family SUV is preferred. 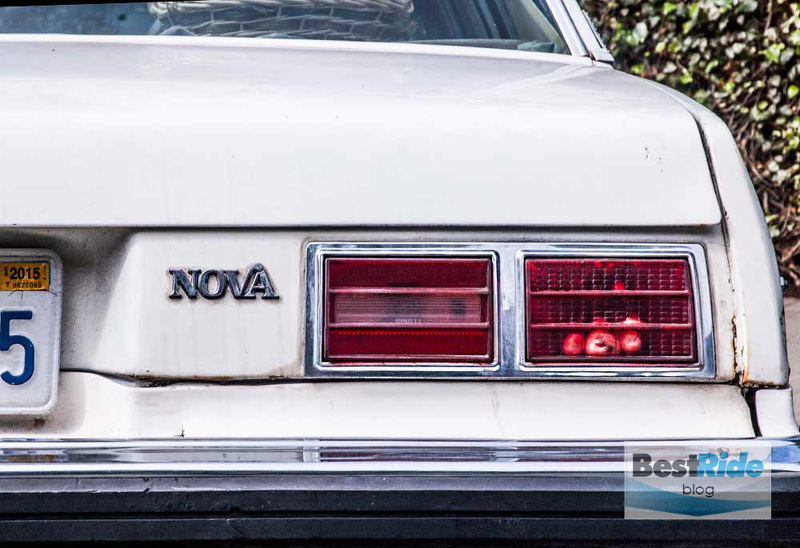 Make no mistake, this segment is much like its sedan counterpart — which one you prefer will come down to minutiae. A friend of mine recently came to me seeking advice on which midsize SUV to buy, saying his wife, who was shopping the segment, admitted she found them all to be very similar. She didn’t realize how right she was. 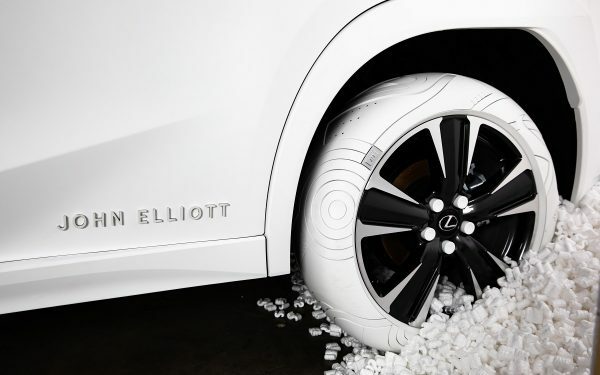 The new class of compact SUVs, one size smaller than these, offers worlds more character and differentiation. So what it comes down to in the midsize class is small items of personal preference. Do you like Toyota’s Entune infotainment setup better than NissanConnect, GMC Intellilink, or Subaru Starlink? It’s relatively small matters like that — those will make the decision for you. 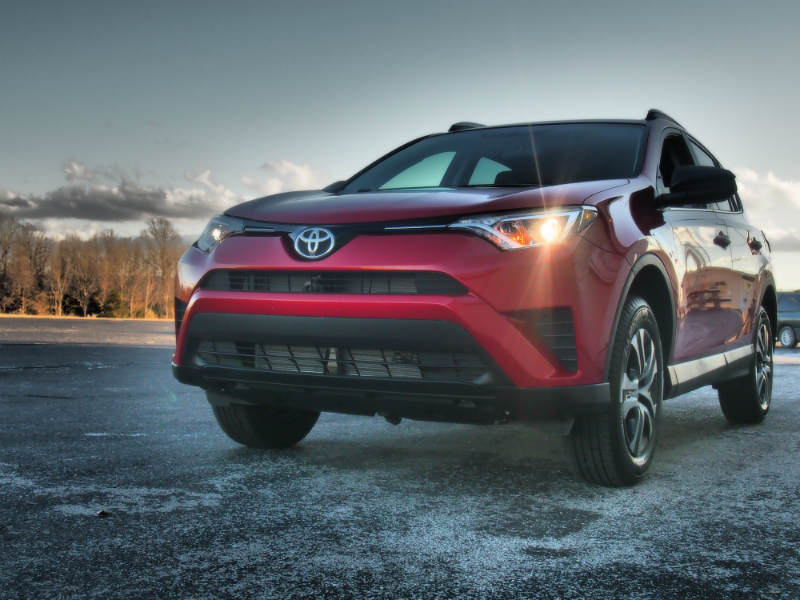 The 2016 Toyota RAV4 LE is squarely in the hunt for your dollars, that’s for sure. Options: Entune Audio Plus package including Entune Multimedia Bundle, 6.1-inch high-resolution touchscreen display with integrated backup camera, AM/FM CD Player, MP3/WMA Playback Capability, Six Speakers, Auxiliary Audio Jack, USB 2.0 Port with iPod Connectivity and Control, Hands-Free Phone Capability, Phone Book Access and Music Streaming via Bluetooth Wireless Technology, Scout GPS Link App, SiriusXM All Access Radio with 3-Month Complimentary Trial, HD Radio, HD Traffic and Weather in Major Metro Areas ($675). Not as rugged a “dadmobile” as, say, the Ram ProMaster City I tested a few weeks ago. 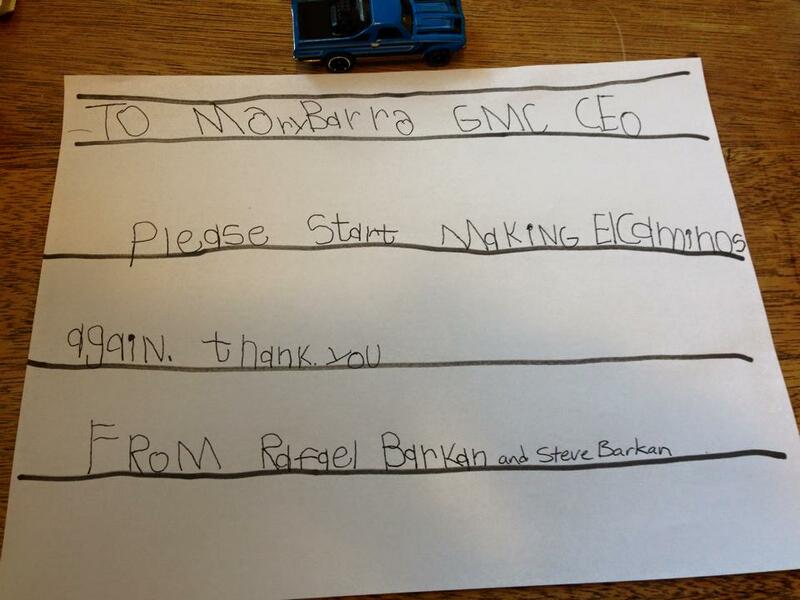 Disclosure: Toyota provided the vehicle, insurance, and a tank of gas for this review. 2014 NAIAS Detroit: A New Toyota Supra?